Craig has a broad range of experience with over 30 years in the real estate industry in both management and hands on sales, personally averaging 60+ closings per year while managing and marketing 10-15+ listings at a time. As co-founder of Coldwell Banker Diez & Leis Real Estate group, Craig was instrumental in growing a small boutique five agent office to a productive 40 agent company averaging 450+ closings per year, consistently ranking in the top 20 residential companies in Sacramento, Placer, El Dorado and Yolo Counties (as profiled in the Sacramento Business Journal). Craig and his business partner Clay Sigg currently lead a top-producing team of real estate professionals at Diez & Sigg Properties, a full-service real estate boutique that offers over 73 years of combined real estate experience and local expertise. Craig has continuously found ways to diversify his business to adjust to the current markets and compete at a high level of production while always remaining focused on resale transactions and his loyal client base. Craig has extensive experience selling high volume accounts. 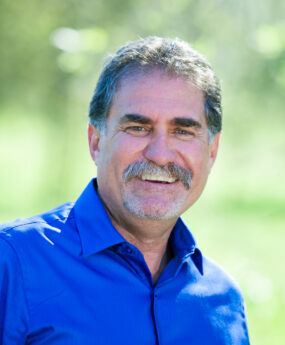 From managing and selling a 60-unit subdivision to assisting new infill developers on site acquisition, pricing and building criteria, Craig has always been a source to turn to for current trends and information as a specialist in the Carmichael, Arden areas as well as the overall Sacramento region. Craig’s strong negotiation skills and his friendly and approachable “to the point” style have earned him the respect of fellow REALTORS® and loyal clients. Most importantly, Craig understands the importance of open communication and being accessible to clients, agents and potential buyers. Unlike many real estate teams, you can always pick up the phone and Craig, or one of the team’s agents will be available to take your call. Craig is a graduate of the University of California at Davis, with a B.A. in Economics. He is bilingual, having spent his childhood years in Venezuela and Mexico City, gaining valuable experiences that have helped him in this culturally diverse marketplace.